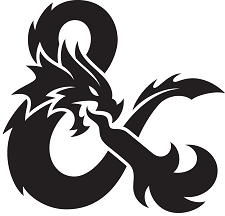 Ok, so I’m back in my old hometown, playing D&D with yet another new group of old friends. This time Ola, from our Hoard of the Dragon Queen campaign way back in 2015, returns as we try out the introductory campaign “Lost Mines of Phandelver”. I’ve always heard good things about it, some people claiming that it is the best published adventure for 5th edition, so this was a welcome opportunity. Ola will be playing a barbarian. Playing alongside Ola is Erik, a Thunder Cleric and Caroline, a halfling rogue. An angry Goblin with a club. For our first outing, we wanted to get as much game time as possible, so all players chose a premade character from D&D:s website. They’re pretty good, you should check them out if you haven’t got the time to create characters. Each character gets pre-filled sheets with simplified rules for up to 10th level. If the players want to change characters later on it shouldn’t be too much of a problem, I’ll just insert them at the appropriate level. Anyhow, the three were on their way to Phandalin, a small frontier town not known for much of anything besides prospecting and the resulting mining business. Our heroes’ benefactor, Gundren Rockseeker, promised that he was up to “something big” and asked them if they could transport some provisions for him from Neverwinter to Phandalin. Gundren and his ally, Sildar Hallwinter, rode ahead in order to “take care of some business”. On their way to Phandalin, just a half day along the woodland Triboar Trail and followed by a mysterious mist centered around the cleric, our heroes saw two dead horses blocking their way. On closer inspection, they found out that the horses belonged to Gundren and Sildar. Were they in trouble? They had no time to find out as goblin arrows started to surround them! The halfling was wounded bad in the crossfire. More goblins emerged from the forest and tried to hit the cleric, only to be fried by electrical magic when they succeeded. A similar fate fell upon the arrow-shooting goblins who were flung back into the woods, dead, by a thunderclap that echoed throughout the woods. The one goblin survivor decided to flee but was followed by the enraged barbarian along a path into the woods. Ola got an inspiration dice for this characterful move. The barbarian avoided not one but two cunning goblin traps on his way, but the goblin got away. The party decided to follow the trail anyway after concluding that two human-sized bodies had been dragged along it, quite recently. They soon discovered the goblin lair, a cave inside a large hill with a small stream flowing out from the opening. After resting, they decided to take on the small dungeon and readied their weapons. The cleric cast light on her shield, so that they wouldn’t have to think about carrying torches. The small guardpost in the bushes outside the cave was quickly taken care of by a sneaking halfling, his pet rat and a barbarian who simply walked through the brambles and struck down the last goblin with a perfectly rolled feast of ultra violence. Up next was the cave, where the question of killing or sparing three “innocent” wolves became cause for an internal fight in the group. The barbarian slapped the cleric and wandered away. The halfling found a small chimney, or trash chute, which he chose to climb up into. The barbarian followed him, as tried the poor cleric whose heavy armor was to troublesome to climb in or pull up with the help of a rope. She decided to split from the party (!) and go the long way, as the halfling and barbarian got to sneak up on the large bugbear that called himself king Klaarg. He literally fell quick, backwards, and roasted on his fireplace. The party fought and walked their way around traps and enemies and later regrouped when all was quiet again. They investigated the remaining cave and found Sildar, held hostage by a large goblin leader. The goblin declared that he would trade Sildar for Klaargs head. The barbarian walked back through the cave, impaled poor Klaargs burning head on his sword and walked back. This time, the goblin tried to trick them into paying 100 gold for Sildar, but the party had had enough. 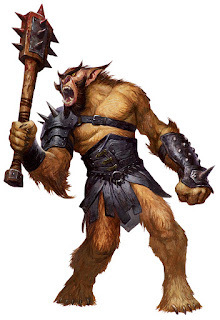 The barbarian threw the burning head in the goblins direction, the cleric fried him and the halfling threw daggers. He was dead in an instant, but not before throwing poor Sildar down some stone steps. The barbarian reacted swiftly and catched Sildar before he hit the ground. The party looted the cavern, found some crates with a local trade houses insignia on them and started to head back on track with Sildar. As the wagon once again moved along the trail, Sildar told them that Gundren and his Rockseeker brothers had found Wave Echo Cave, the site of Phandelver, a magical forge that produced magic items long ago. He also told them that a mysterious figure known as Black Spider had kidnapped Gundren and his map to Wave Echo. 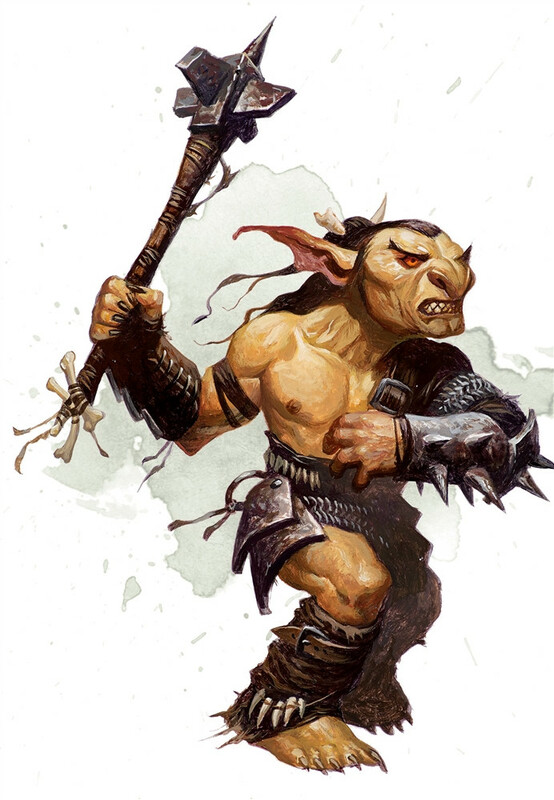 Sildar believed that Gundren was held in Cragmaw Castle, a local goblin stronghold, somewhere in the wilderness. He asked them to first accompany him to Phandalin where he wanted to talk to Iarno, his agent in Phandalin, to hear how things were going. Will the characters find Gundren? Will they find the lost mine of Phandelver? Will they find something entirely different? Find out next time, as things go down in Phandalin town!